Richard Pryor in the brilliant film, Moving. I recently decided to part ways with Blogger and Medium. Blogger has been good to me for many years but it is clearly an un/under-maintained product that I would not be surprised to see shut down any day now. Similarly, while I like some of Medium’s tools, the closed ecosystem and the inability to edit HTML has always bothered me as a person who has been editing her own HTML since GeoCities days. So I’ve had a long overdue TODO to create my own blog. After interacting with so many magical Automatticians at SupConf, I finally sat down and created this website. It was a fairly simple process and the Happiness Engineers (despite that unfortunate title) were super helpful when I hit weird snags (like the glaring red band at the top of the screen warning me that I needed to Verify something or other). Then came the time to move over my Blogger and Medium blogs and consolidate my longer form digital ruminations. I searched Google for instructions on the Blogger import and it went over without a hitch. This is the glaring red band, btw…I was later informed there was nothing I could actually “FIX.” I just had to wait. So onwards to the Medium import I went. Mariah then asked me to upload the Medium ZIP to my WP Media Library but I continued to get the error: “This file type is not allowed. Please try another.” So thinking that the ZIP file format was the problem, I went in and unzipped it with the intent of uploading the .html and image files I thought I’d find there. What I found made me awfully glad I checked. It turned out that the Medium export was for nearly EVERY character I’d ever typed into Medium. In addition to what I considered to be “my” blog, it also exported all the posts I’d written for my company blog, as well as every comment I’d left on everyone else’s blog. Interesting in terms of a data dump but definitely not something I wanted to be vacuumed up and spit out onto my shiny new WP blog. So once I saw what was in that ZIP, I did a clean up to include only the .html files for the posts that I wanted on my new blog. Once again, I attempted to upload my files to the Media Library and once again I got “This file type is not allowed. Please try another.” When I advised Mariah of this she asked me to upload everything into a Google Drive folder and send her the link. I did so and she told me I should see the new posts on my blog in 24 hours. I dutifully waited 24 hours — refreshing every once in a while in case maybe it happened even fast than that. After over 24 hours, I logged back in and reached out to the Happiness Crew. The new HE, Chris, confirmed that the import had indeed failed. I told him that I could go in and edit the .rss as well. He requested that I do so and then send the updated Google Drive folder over to help@wordpress.com. I did so and also dropped the link in the chat channel where HE Kristen told me she’d pass it along. After two days, I’d heard nothing so I wrote to inquire on the matter. I received a response from HE Richard telling me that the developers were still looking into my import and they couldn’t give an exact time-frame. Two days after that, I did receive a request to rate the quality of service I’d received from Chris. I didn’t know what to say. My issue had not been resolved and that wasn’t one of the three options. So I didn’t click anything. Export your ZIP from Medium. Edit your RSS and HTML files. Upload those files to a sharable drive like Google Drive or Dropbox. Email help@wordpress.com with a link to that shared drive. Hope this helps someone avoid some grief. My name is Camille and I am the world’s most reluctant online shopper. I am a working wife and mom and time to shop can run short, so I Amazon when I must… and I must much of the time. However, whenever I find myself with more than a few minutes on my hands, I love to steal away and browse in a boutique or better yet walk the floors of a big box store. And though I live in New York and have been deprived of the privilege for many a year, no digital experience will ever in a million years match the pure (OK mostly guilty) pleasure of going to the mall. Yes, I know that malls can be huge and unsightly corporate behemoths that tend to decimate smaller, local businesses and negatively impact the environment with their sprawling parking lots and bulky footprints, but on the other hand the modern mall is a pristine palace of convenience and an egalitarian urban bazaar for our times. It has food and clothes and appliances and sometimes even entertainment. The mall is for young and old. The monied and the poor. The left and the right. 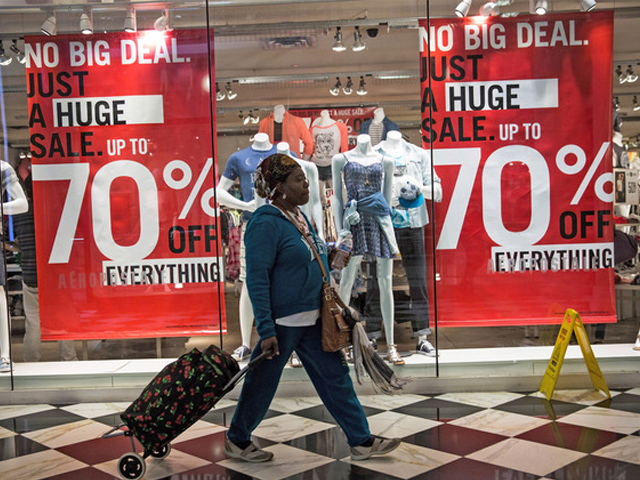 Yes, there is truly something — at least one thing — for everyone at the mall! Oh shopping mall, why do I love thee? Let me count the reasons! How many times have you gone into a mall or big box store for one thing and come out with multiple bags? Sale signs beckon from the window, you need shoes to go with that skirt you just bought, you just want to peek in and check one other little thing….and you’re hooked. Even the best online shops with the fancy schmanciest algorithms cannot do that. While suggestions are fun, they don’t come close to stumbling upon something amazing and being able to get it now. If I see something I like at the mall, I can take it and buy it today. No waiting around for some delivery person or dealing with piles of cardboard boxes. The thing you want is in your hand moments after you decided you wanted it. While large online retailers have the benefit of being able to hold a lot more stock than a brick and mortar store, they also have to deal with processing returns because the tiny 350 X 350 image of those jeans didn’t accurately represent what they looked like in person or searching for missing items OR something was lost or damaged in shipping. For better or worse, the mall is for everybody. Unlike fancy Manhattan boutiques where shop assistants size you up for purchasing power the moment you walk in the door, mall shops invite. If you have the ability to move your body across the threshold, then you are their ideal shopper. 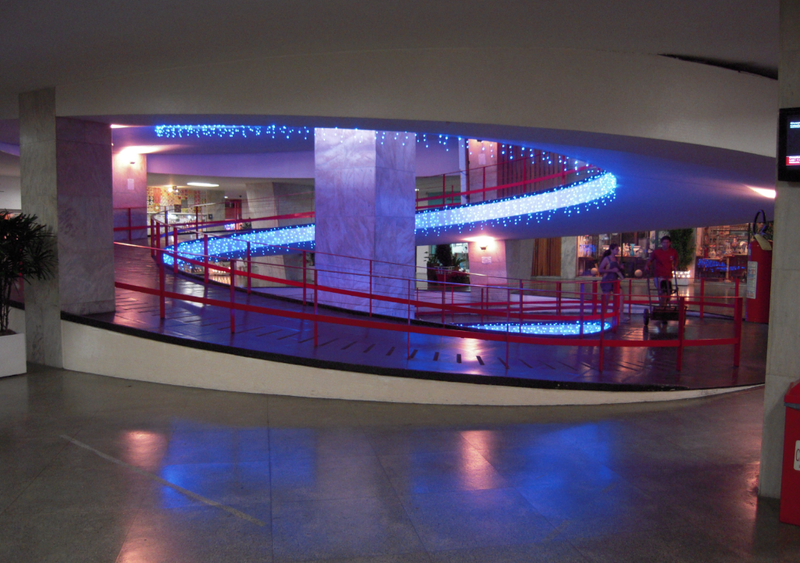 Malls are also in many cases shiny new buildings that are required to adhere to accessibility guidelines. 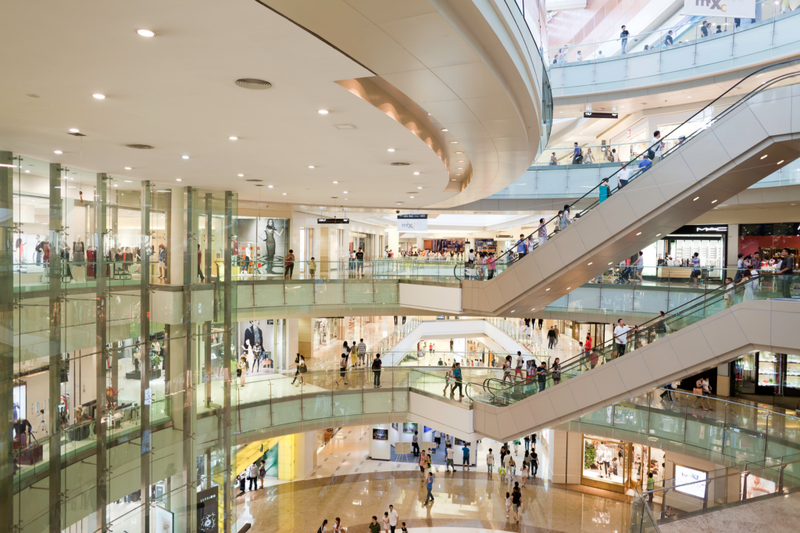 While malls are equipped with ramps and lifts, many online retailers still fail to meet even basic levels of site accessibility like clear text and headers. 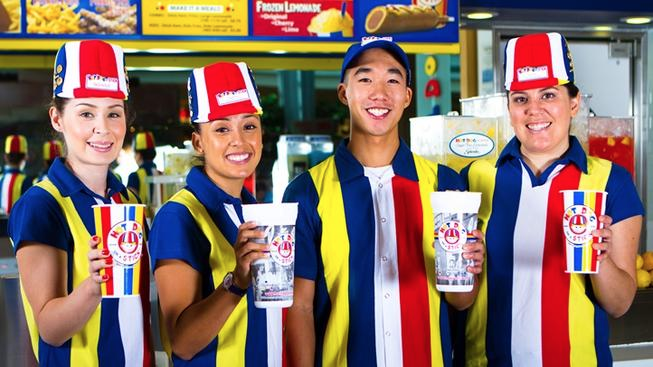 If you visit your local mall you are certain to be served by a clerk who speaks the local language and dialect and is familiar with the area. While the hugest of the online retailers can certainly provide language localised sites, many smaller web shops struggle to offer their shops in more than one language and can rarely provide customer support in every customer’s timezone. If we don’t speak the languages that the site is offered in, we can see the merchandise and likely even purchase but we are uninformed and underserved, 2nd class shoppers. A clerk in a mall shop can not only welcome you, chat with you, guide you in and through the store, but can also help you locate other local goods and services. They know the area and can refer you to related shops. In addition, one branch of an international store has the unique opportunity to provide location specific items. 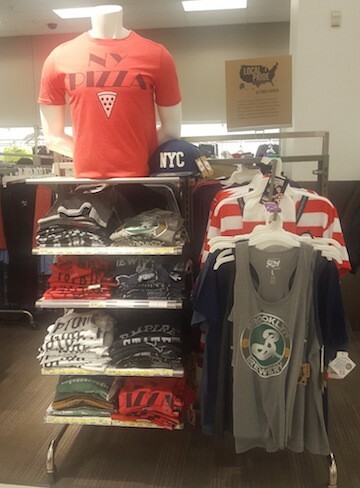 At a recent visit to a Brooklyn Target, I found a large display of New York specific swag. Special limited edition and geographically significant merchandise can be a draw to an otherwise subpar shop or restaurant. Big greasy pretzels, gooey cinnamon buns that beckon to me from the parking lot, and hot dogs….on sticks! Boy, do you know how to treat a lady, shopping mall. You understand that all that deal hunting means that I am probably going to get a little peckish and want food that isn’t entirely fit for human consumption. While I don’t (necessarily) believe that online retailers should offer fast food, understanding shoppers as humans is so important. So many times, I’ve been multitasking and online shopping and had a transaction time out because I wandered off or had to go to the restroom. Most mall shops will hold things for you until you get back. Heck, many big box stores even have a layaway policy so you can put an item to the side and come back when you get your money right. A quick Google revealed that even Amazon didn’t have a layaway program. I understand there are myriad security and business concerns with how long we let sessions run and actually holding physical items for users, but retailers will only benefit by figuring it out. Shopping in the real world is not a straight line, and retailers win when online shopping encourages the same sort of access, speed, courtesy, and service that physical shopping engenders. If you are a smaller online retailer, look into what it will take to make your website more accessible and localised. More on web accessibility standards here (http://www.chainstoreage.com/article/web-accessibility-why-it-matters-all-retailers). If you cannot afford the investment, look into sellers’ platforms that can do the work for you but let you maintain your branding. If you are a platform builder, offer accessible platforms that allow sellers to offer unique and localised experiences to potential customers. I spend far too much of my time on Pinterest pinning clothes that and outfits that I like but the path from finding something I want to actually trying to get it has been thus far unsuccessful. Social platforms are certainly trying to hack retail as it is crucial to their revenue strategy, but for some reason they can’t get it right. Liketoknow.it tries to implement this for Instagram but it is too confusing and high friction. I recently read that Amazon will be opening a few physical locations soon; even the web’s Everything Store has realized that there is value in meeting shoppers where they are. As a retailer, whenever possible, try to position your merchandise where people can touch, try, and buy it. Keep a list of physical retailers on your site and up to date. Do pop-ups until you can afford a physical location. And have excellent customer service and unique offerings that make the in-person experience something truly special and worth seeking out.